When I was a kid, I used to go to ( was taken to) theaters once in a month to catch a movie with family. When I joined college, this continued along with one or two other movies every month with friends. Now that I am working, every weekend I catch a movie in the theatres. 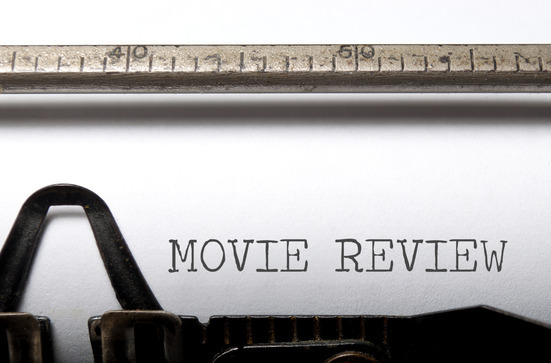 Movie Reviews – What is wrong with that? Most of us have the habit of typing out the movie name followed by review every Friday morning around 10 or 11 a.m and land in audience live response page of a website. We skim through the tweets and have a first impression of how the movie is. These are mostly by fans of the lead actor. Spoilers – A review should not reveal any parts of the story. Gone are the days when MGR and Nambiyar acted in a movie, everyone knew MGR was the hero and Nambiyar was the villain. Now this is not the case. Two characters can be friends, friends turned into foes, foes turned into enemies, brothers and what not. When you say X as villain has done great justice to the job, we know who is the villain. Now who is spoiling the experience or thrill? Ratings – We study X Std for a year and write an exam for 500 marks and we study XII Std for a year and get graded out of 1200 marks. But a movie that takes more than a few years to see the light of the day gets graded out of 5 and you are also stingy on that. When you read a movie review that has a rating of 2, we make up our minds automatically that its not worth a watch. These days I feel reviewers drill, inspect and post mortem the movie to find out the negatives and not the same efforts are put out to identify the positives. Video Reviews – This is the latest trend due to advent of social media and the power of Youtube. This is one of the boldest jobs ever. All the above three points are exhibited here and along with the above, there are jokes, metaphors and suggestions that put a smile on the viewers’ face ( really) but it has its fair share. Logical Loopholes – This is the icing on the cake. Every review has a peek at this. Its totally agreed that movie should have basic logic. But the reason we go to a movie is to enter a different world created by the director and imagining the possibilities that may not happen in our own life. We leave out our personal worries or emotional luggages. If we need 100% logic in movies, it is just our story once again that we will be watching. 120 Rupees – For starters, this is totally not about RJ Balaji. He used this only to make everyone relate to the experience. I have listened to reviewers who say its not worth 120 bucks. Seriously this 120 thingy did not get auto debited from your account like your credit card bill. You made the decision and there is always something to enjoy in a movie and if you find none, feel free to walk out of theater – Remember Time is Money. Ok now, why all these rants? You might ask. I do not want to end this here. As a faithful movie goer and admirer of cinema, I would like to do my bit to change the above. Me and my brother are putting together a website that will list only the positives of every movie in a little more detail than anywhere. No negatives and no ratings. Just read the positives and enjoy the movie. Or watch the movie and relive the positives by reading the same on our website. Need all your support to reach out to everyone who loves movies just like you and me. The website will be up shortly and I will update the same here. A meaningful contribution to a big flaw existing in Cinema Industry. But how will you collect the positive reviews from every movie that gets screened in the theatres?